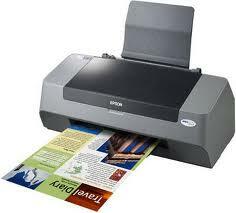 Printing, scanning, and copying are easy tasks that can take an unnecessarily large amount of time. Many professionals spend a decent portion of their day over by the printer, simply waiting for their tasks to be completed, while they could be using their time in a more productive manner. However, printers not only require time, they also require money. Printer ink, paper, and upkeep can be expensive, especially for those making no additional effort to conserve these resources. This is why it is important for professionals to tweak their printer, in order to save them both time and money. #1. Avoid using coloured ink – Unless it is absolutely necessary to print in colour, choose to print in black and white. When a printer prints a document in colour, it uses a number of colours to create the shades that you see on the final document. This not only takes longer to print, but coloured ink cartridges generally cost more than black ink. After the printer has been installed, access the printer’s options and switch an inkjet printer into “draft mode” or change a toner printer’s default darkness settings, which will be set to a particular number. It may be necessary to try a few different numbers, which usually range from one to ten, ten being the darkest, before finding a setting that works for you. If the printer driver is not installed, you are still able to change the darkness settings. When printing, select “properties” before pressing the “print” option. In the printer’s properties, select the tab that says “paper quality”. At the bottom of the box, select the “advanced” button, which will lead to a new box that allows users to adjust the darkness settings. #3. Choose to print on both sides of the paper – While paper is cheaper than ink, it still isn’t free. Wasting paper is not only unnecessary, it is bad for the environment. Fortunately, most printers allow users to choose a duplex printing setting. Duplex printing simply means that there will be text on both side of the page, just like a book. Many printers support this setting, and if a printer does not currently support this setting, a duplex adapter can usually be added. Users may also choose to duplex print by hand, although this will take additional time if a user is not experienced in doing so. #4. Save your expensive paper for important documents – While thicker paper with fancy finishes may be great for printing photos, cover pages, or other important documents, it is not for everyday use. These types of paper are not only more expensive, they generally take longer for a printer to finish. #5. Download and use Ecofont. Ecofont is a simple font that uses around 25% less ink than other fonts. This font uses more holes in each of the letters, when compares to other fonts, which requires less ink to be used. While this font does not come standard on most computers, it is possible to download the font on the Ecofont website. #6. Avoid using bold or other complicated fonts – The bolder and more complicated a font, the more ink it will require. Unless it is necessary to use a particular font, stick to simple styles, like Arial or Times New Roman in a size ten or twelve. Additionally, while Word Art may jazz up a page, it is best to avoid these extras unless creating an important project or document. #7. Keep printing until there’s no ink left – While printers will give users a “low ink warning” when a cartridge is getting low, it is not necessary to replace the cartridge right then. Even though the cartridge may be low, it does still have ink and can be used to print several more jobs. Do not replace the ink cartridges until the printing quality has been compromised. #8. Refill your cartridges – If possible, have the ink cartridges refilled instead of purchasing brand new cartridges. There are many companies that will refill used ink cartridges, which means that customers will only need to purchase ink, instead of purchasing a new cartridge. This is not only save money, but the environment as well. James writes reviews of HP printer cartridges and supplies for other brands of printers at Cartridge Save. Click here to visit their website.